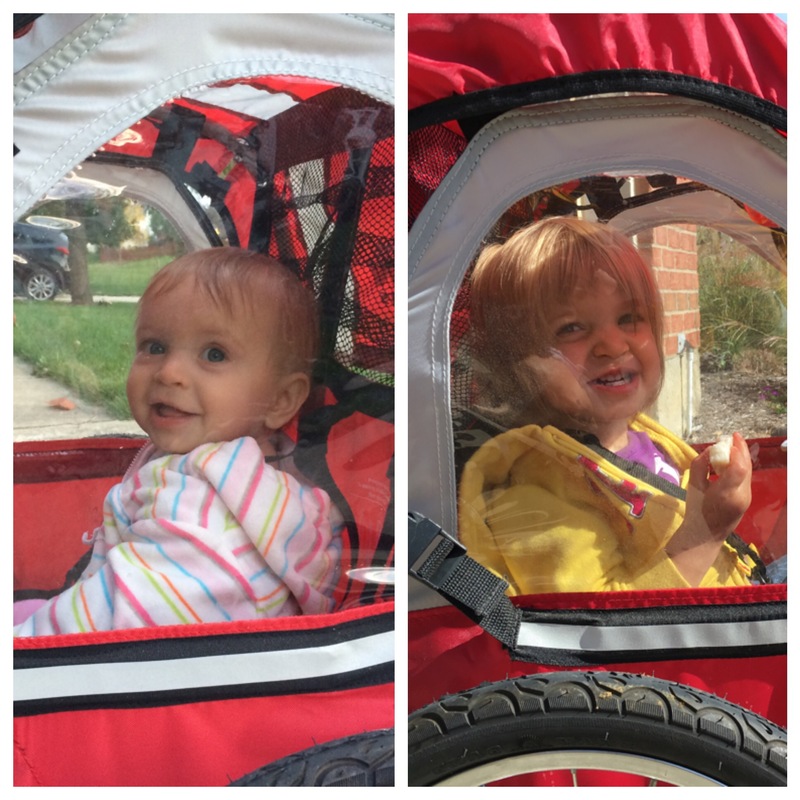 We have a pull behind carrier for my bike so we can go on a bike ride as a family. Last year, we could only go on short rides as Kenley wasn’t too big of a fan of staying strapped in. Now that she is bigger, she plays with toys while we rides and looks for puppies. We’ve got some really nice trails near our house and today we did a 10+ mile ride. It was a bit windy, so it felt like I had a 30lb weight and a parachute behind my bike. Definitely worth it to be outside on this beautiful day.